Rajiv Gandhi, assassinated this day 20 years ago, May 21 1991, an irreparable loss for India. “On March 23, our group was to meet Rajiv at noon. There was to be an event in the inner lawns of Rajiv’s residence in the morning, where he would launch Krishna Rao’s book on India’s security. Krishna Rao had expressly asked me to come but I had to wait outside the building patiently, not knowing if it was a mistake or if it was deliberate. This was politics after all, and I had ruffled feathers during my short time there. While I waited, Rajiv was speaking to a farmers’ rally being held at grounds adjoining his residence, and there appeared to be thousands of country folk who had gathered to hear him. When it was over, Rajiv, smiling nervously and looking extremely uncomfortable, was hoisted atop people’s shoulders and carried back to the residence by his audience. As I watched, my spine ran cold at the thought that any killer could have assassinated him with ease in that boisterous crowd, right there in the middle of Delhi outside his own residence. It was as if plans for his security had been drawn up without any strategic thinking underlying them. Krishna Rao arrived and graciously took me inside for his book launch. The event was attended by the Congress’s top brass, including Narasimha Rao whom I met for the first time, as well as foreign military attaches and officers of the Indian armed forces. The attaché of one great power went about shaking hands and handing out his business card to everyone. I stood aside and watched. Delhi felt to me that day like a sieve, as if little could be done without knowledge of the embassies. One side wanted to sell arms, aircraft or ships, while the other wanted trips abroad or jobs or green cards or whatever for their children. And I thought Islamabad would be worse — could India and Pakistan make peace in this fetid ether? Proceedings began when Rajiv arrived. This elite audience mobbed him just as the farmers had mobbed him earlier. He saw me and beamed a smile in recognition, and I smiled back but made no attempt to draw near him in the crush. He gave a short very apt speech on the role the United Nations might have in the new post-Gulf War world. Then he launched the book, and left for an investiture at Rashtrapati Bhavan. We waited for our meeting with him, which finally happened in the afternoon. Rajiv was plainly at the point of exhaustion and still hard-pressed for time. He seemed pleased to see me and apologized for not talking in the morning. Regarding the March 22 draft, he said he had not read it but that he would be doing so. He said he expected the central focus of the manifesto to be on economic reform, and an economic point of view in foreign policy, and in addition an emphasis on justice and the law courts. I remembered our September 18 conversation and had tried to put in justice and the courts into our draft but had been over-ruled by others. I now said the social returns of investment in the judiciary were high but was drowned out again. Rajiv was clearly agitated that day by the BJP and blurted out he did not really feel he understood what on earth they were on about. He said about his own family, “We’re not religious or anything like that, we don’t pray every day.” I felt again what I had felt before, that here was a tragic hero of India who had not really wished to be more than a happy family man until he reluctantly was made into a national leader against his will. We were with him for an hour or so. As we were leaving, he said quickly at the end of the meeting he wished to see me on my own and would be arranging a meeting. One of our group was staying back to ask him a favour. Just before we left, I managed to say to him what I felt was imperative: “The Iraq situation isn’t as it seems, it’s a lot deeper than it’s been made out to be.” He looked at me with a serious look and said “Yes I know, I know.” It was decided Pitroda would be in touch with each of us in the next 24 hours. During this time Narasimha Rao’s manifesto committee would read the draft and any questions they had would be sent to us. We were supposed to be on call for 24 hours. The call never came. Given the near total lack of system and organization I had seen over the months, I was not surprised. Krishna Rao and I waited another 48 hours, and then each of us left Delhi. Before going I dropped by to see Krishnamurty, and we talked at length. He talked especially about the lack of the idea of teamwork in India. Krishnamurty said he had read everything I had written for the group and learned a lot. I said that managing the economic reform would be a critical job and the difference between success and failure was thin. “I returned to Delhi on Monday, March 18, 1991 as new elections had been announced. Rasgotra said I should be in touch with Krishna Rao, and the next day March 19 Krishna Rao met me for several hours. I told him what I thought were the roots and results of the Gulf war. He in turn generously told me what had happened while I had been away. 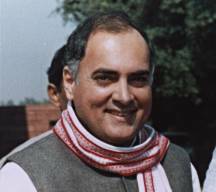 He said the group had met Rajiv in December with the proposal that Rajiv better organize his time by having an “office manager” of larger political stature than George. The name of a UP Congressman of integrity had been put forward, but nothing had come of it. Rajiv had been advised to keep Chandrashekhar in power through the autumn of 1991, as Chandrashekhar was doing Rajiv’s work for him of sidelining V. P. Singh. The idea was to cooperate with Chandrashekhar until he could be pushed up to the Presidency when that fell vacant. Rajiv had been advised not to work in a Chandrashekhar cabinet, though in my opinion, had we been like the Scandinavians, it was not impossible for a former prime minister to enter another cabinet on the right terms in the national interest of providing stable government, which was imperative at the time. Things seem to have slipped out of control when Chandrashekhar resigned. At that point, Rajiv called the group together and instructed them to write a draft of the manifesto for the impending elections. I had advised readiness back in September but the lack of organization had prevented much tangible progress at the time. Our group was to now report to a political manifesto-committee of three senior party leaders who would report to Rajiv. They were Narasimha Rao, Pranab Mukherjee and Madhavsingh Solanki. Krishna Rao liased with Narasimha Rao, Krishnamurty with Mukherjee, Pitroda with Solanki. While Rajiv would obviously lead a new Congress Government, Mukherjee was the presumptive Finance Minister, while Narasimha Rao and Solanki would have major portfolios though Narasimha Rao was expected to retire before too long. Krishna Rao said I should be in touch with Krishnamurty who was preparing the economic chapters of the draft of the manifesto. Krishnamurty told me he had brought in A. M. Khusro to the group, and there would be a 5 p.m. meeting at Khusro’s office at the Aga Khan Foundation. I arrived early and was delighted to meet Khusro, and he seemed pleased to meet me. Khusro seemed excited by my view that India and Pakistan were spending excessively on defence against each other, which resonated with his own ideas, and he remarked the fiscal disarray in India and Pakistan could start to be set right by mutually agreed cuts in military spending. (Khusro was eventually to accompany Prime Minister Vajpayee to Lahore in 1999). Krishnamurty had prepared a draft dated March 18 of several pages of the economic aspects of the manifesto. After our discussions, Krishnamurty was hospitable enough to open the draft to improvement. That evening, the 19th, I worked through the night and the next morning to get by noon copies of a revised version with all the members of the group. At 4 p.m. on the 20th there was a meeting at Andhra Bhavan of the whole group except Pitroda, which went on until the night. The next day the 21st , Krishnamurty, Khusro and I met again at Andhra Bhavan for a few hours on the economic aspects of the draft. Then in mid-afternoon I went to Rasgotra’s home to work with him and Krishna Rao. They wanted me to produce the economic draft which they could then integrate as they wished into the material they were dictating to a typist. I offered instead to absorb their material directly on to my laptop computer where the economic draft was. Rasgotra was reluctant to let go control, and eventually I gave in and said I would get them a hard copy of the economic draft, which they then planned to re-draft via a stenographer on a typewriter. At this, Rasgotra gave in and agreed to my solution. So the work began and the three of us continued until late. That night Krishna Rao dropped me at Tughlak Road where I used to stay with friends. In the car I told him, as he was a military man with heavy security cover for himself as a former Governor of J&K, that it seemed to me Rajiv’s security was being unprofessionally handled, that he was vulnerable to a professional assassin. Krishna Rao asked me if I had seen anything specific by way of vulnerability. With John Kennedy and De Gaulle in mind, I said I feared Rajiv was open to a long-distance sniper, especially when he was on his campaign trips around the country. This was one of several attempts I made since October 1990 to convey my clear impression to whomever I thought might have an effect that Rajiv seemed to me extremely vulnerable. Rajiv had been on sadhbhavana journeys, back and forth into and out of Delhi. I had heard he was fed up with his security apparatus, and I was not surprised given it seemed at the time rather bureaucratized. It would not have been appropriate for me to tell him directly that he seemed to me to be vulnerable, since I was a newcomer and a complete amateur about security issues, and besides if he agreed he might seem to himself to be cowardly or have to get even closer to his security apparatus. Instead I pressed the subject relentlessly with whomever I could. I suggested specifically two things: (a) that the system in place at Rajiv’s residence and on his itineraries be tested, preferably by some internationally recognized specialists in counter-terrorism; (b) that Rajiv be encouraged to announce a shadow-cabinet. The first would increase the cost of terrorism, the second would reduce the potential political benefit expected by terrorists out to kill him. On the former, it was pleaded that security was a matter being run by the V. P. Singh and then Chandrashekhar Governments at the time. On the latter, it was said that appointing a shadow cabinet might give the appointees the wrong idea, and lead to a challenge to Rajiv’s leadership. This seemed to me wrong, as there was nothing to fear from healthy internal contests for power so long as they were conducted in a structured democratic framework. I pressed to know how public Rajiv’s itinerary was when he travelled. I was told it was known to everyone and that was the only way it could be since Rajiv wanted to be close to the people waiting to see him and had been criticized for being too aloof. This seemed to me totally wrong and I suggested that if Rajiv wanted to be seen as meeting the crowds waiting for him then that should be done by planning to make random stops on the road that his entourage would take. This would at least add some confusion to the planning of potential terrorists out to kill him. When I pressed relentlessly, it was said I should probably speak to “Madame”, i.e. to Mrs. Rajiv Gandhi. That seemed to me highly inappropriate, as I could not be said to be known to her and I should not want to unduly concern her in the event it was I who was completely wrong in my assessment of the danger. The response that it was not in Congress’s hands, that it was the responsibility of the V. P. Singh and later the Chandrashekhar Governments, seemed to me completely irrelevant since Congress in its own interests had a grave responsibility to protect Rajiv Gandhi irrespective of what the Government’s security people were doing or not doing. Rajiv was at the apex of the power structure of the party, and a key symbol of secularism and progress for the entire country. Losing him would be quite irreparable to the party and the country. It shocked me that the assumption was not being made that there were almost certainly professional killers actively out to kill Rajiv Gandhi — this loving family man and hapless pilot of India’s ship of state who did not seem to have wished to make enemies among India’s terrorists but whom the fates had conspired to make a target. The most bizarre and frustrating response I got from several respondents was that I should not mention the matter at all as otherwise the threat would become enlarged and the prospect made more likely! This I later realized was a primitive superstitious response of the same sort as wearing amulets and believing in Ptolemaic astrological charts that assume the Sun goes around the Earth — centuries after Kepler and Copernicus. Perhaps the entry of scientific causality and rationality is where we must begin in the reform of India’s governance and economy. What was especially repugnant after Rajiv’s assassination was to hear it said by his enemies that it marked an end to “dynastic” politics in India. This struck me as being devoid of all sense because the unanswerable reason for protecting Rajiv Gandhi was that we in India, if we are to have any pretensions at all to being a civilized and open democratic society, cannot tolerate terrorism and assassination as means of political change. Either we are constitutional democrats willing to fight for the privileges of a liberal social order, or ours is truly a primitive and savage anarchy concealed beneath a veneer of fake Westernization. The next day, Friday March 22, I worked from dawn to get the penultimate draft to Krishna Rao before noon as planned the night before. Rasgotra arrived shortly, and the three of us worked until evening to finish the job. I left for an hour to print out copies for a meeting of the entire group, where the draft we were going to submit would come to be decided. When I got back I found Rasgotra had launched an extended and quite unexpected attack on what had been written on economic policy. Would someone like Manmohan Singh, Rasgotra wanted to know, agree with all this talk we were putting in about liberalization and industrial efficiency? I replied I did not know what Manmohan Singh’s response would be but I knew he had been in Africa heading something called the South-South Commission for Julius Nyrere of Tanzania. I said what was needed was a clear forceful statement designed to restore India’s credit-worthiness, and the confidence of international markets. I said that the sort of thing we should aim for was to make clear, e.g. to the IMF’s man in Delhi when that person read the manifesto, that the Congress Party at least knew its economics and was planning to make bold new steps in the direction of progress. I had argued the night before with Rasgotra that on foreign policy we should “go bilateral” with good strong ties with individual countries, and drop all the multilateral hogwash. But I did not wish to enter into a fight on foreign policy which he was writing, so long as the economic policy was left the way we said. Krishnamurty, Khusro and Pitroda came to my defence saying the draft we had done greatly improved on the March 18 draft. For a bare half hour or so with all of us present, the draft was agreed upon. Later that night at Andhra Bhavan, I gave Krishna Rao the final copy of the draft manifesto which he was going to give Narasimha Rao the next day, and sent a copy to Krishnamurty who was liaising with Pranab Mukherjee. Pitroda got a copy on a floppy disc the next day for Solanki. This March 22 1991 draft of the Congress’s intended economic policies got circulated and discussed, and from it rumours and opinions appeared that Congress was planning to launch a major economic reform in India. Economic Times said the manifesto “is especially notable for its economic agenda” and Business Standard said “if party manifestos decide election battles” Congress must be “considered home and dry”. A senior IMF official told me three years later the manifesto had indeed seemed a radical and bold move in the direction of progress, which had been exactly our intended effect. When I met Manmohan Singh at the residence of S. S. Ray in September 1993 in Washington, Ray told him and his senior aides the Congress manifesto had been written on my computer. Manmohan Singh smiled and said that when Arjun Singh and other senior members of the Congress had challenged him in the cabinet, he had pointed to the manifesto. Yet, oddly enough, while the March 22 draft got discussed and circulated, and the Indian economic reform since July 1991 corresponded in fundamental ways to its contents as reproduced above, the actual published Congress manifesto in April 1991 was as tepid and rhetorical as usual, as if some party hack had before publication put in the usual nonsense about e.g. bringing down inflation via price-controls. Certainly the published manifesto was wholly undistinguished in its economic aspects, and had nothing in it to correspond to the bold change of attitude towards economic policy that actually came to be signalled by the 1991 Government. On March 23, our group was to meet Rajiv at noon. There was to be an event in the inner lawns of Rajiv’s residence in the morning, where he would launch Krishna Rao’s book on India’s security. Krishna Rao had expressly asked me to come but I had to wait outside the building patiently, not knowing if it was a mistake or if it was deliberate. This was politics after all, and I had ruffled feathers during my short time there. While I waited, Rajiv was speaking to a farmers’ rally being held at grounds adjoining his residence, and there appeared to be thousands of country folk who had gathered to hear him. When it was over, Rajiv, smiling nervously and looking extremely uncomfortable, was hoisted atop people’s shoulders and carried back to the residence by his audience. As I watched, my spine ran cold at the thought that any killer could have assassinated him with ease in that boisterous crowd, right there in the middle of Delhi outside his own residence. It was as if plans for his security had been drawn up without any strategic thinking underlying them.